Maria’s Fifty’s Diner is a lovely destination for you to grab your first meal of the day, serving homemade, quality food and all-day breakfast. 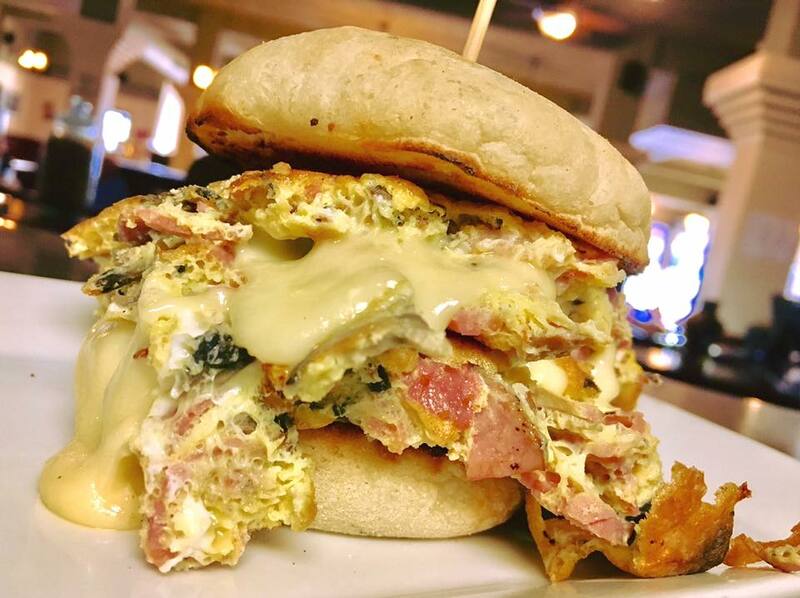 The menu features scrumptious omelettes served with home fries and jam, breakfast skillets with fresh cut peppers, onions, homes fries and topped with blended cheese, along with various wraps, toast, bagels and sandwiches. The Devil’s Punch Bowl is one of the most amazing natural sights in the area, created at the end of the last ice age by huge melt-water rivers that plunged over the Stoney Creek Escarpment, carving out the Punch Bowl and gorge. It’s comprised of the Lower Falls, a 5.5-metre waterfall, and the Upper Falls, a 33.8-metre ribbon waterfall. Located on the shores of Lake Ontario, Confederation Beach Park is home to the area’s best food and fun throughout the year. The area holds plenty of open park space, perfect for sports, games and other activities. Other amenities include go-karting, batting cages, a mini golf course, swimming pools, volleyball courts, and basketball courts. Hutch’s on the Beach has been serving customers in the area since 1946. With a warm and distinct atmosphere defined by their classic diner-style booths, sports memorabilia decorum, and ‘50s music blasting from the jukebox — Hutch’s is a blast from the past. The menu features an array of tasty hamburgers, fish and chips, and hot dogs for you to dine on. Old-fashioned milkshakes, lemonades, slushies and hot chocolates are also on the menu. Battlefield House, near King Street East and Centennial Parkway, is a living history museum and the site of the historic Battle of Stoney Creek (occuring on June 6, 1813). The house dates back to 1796, while the battle was fought during the War of 1812. When you visit the Battlefield House, you can experience life in the early nineteenth century through demonstrations, guided tours and re-enactments from the knowledgeable staff. The Fifty Point Conservation Area on Lake Ontario is a spectacular 80-hectare park with nearby marina facilities in Stoney Creek. It’s known as the place to be for a swim in Lake Ontario with family camping close by. There are footpaths and multi-use trails that spill throughout the natural area which connect to the lakefront promenade. If you tire yourself out during a hike or a stroll, you can relax and admire the scenery at the conveniently located benches and shaded areas. For dinner head to the Edgewater Manor Restaurant, an award-winning steak house & seafood restaurant. It’s located by the waterfront inside an actual Manor House — constructed in 1921, and reminiscent of the Great Gatsby — steeped in history and elegance. The dinner menu is comprised of steak dishes, surf ‘n’ turf, and Australian lamb rack alongside a plethora of appetizers and salads. Menus for cocktails, wines and after dinner drinks are also available. Drive up to Ridge Road Estate Winery to sample wines, enjoy a scenic view and, maybe even, browse the gift shop. Ridge Road is the most westerly winery in the region, overlooking Lake Ontario. Their wines are made from hand-picked grapes and produced in small batches, some of their featured wines include: Gamay Noir, Call Me A Cab and their Pinot Gris. Go taste some flavourful wines while you relax and take in the beautiful surroundings. Visits from wild residents like deer, coyotes and wild turkeys are frequent.